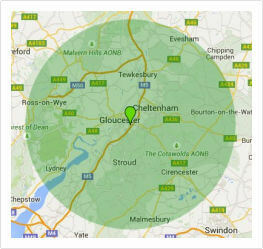 In Gloucester, Cheltenham, Cotswolds and throughout the County. Whether it's a regular weekly clean, a landlord visit or end of tenancy deep clean, we offer a broad range of services to suit your needs. Our most popular methods are the traditional style and the 'Reach 'n' Wash' method extending up to 52ft. Keeping your gutters clean is essential for property protection. Blockages can cause damage to the structural areas, such as the walls and roof, as well as your windows and doors. 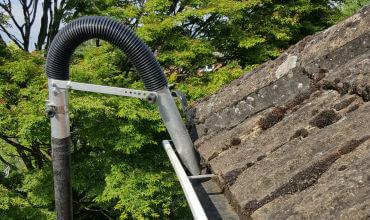 We recommend using our gutter clearance service once a year. 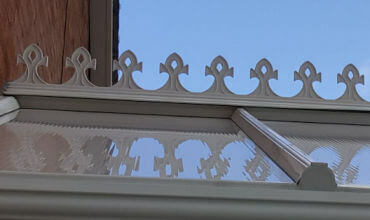 Ensure your gleaming white conservatory remains immaculate! It's essential that you regularly clean and maintain it, with our cleaning service you can ensure there are no unsightly green deposits (a combination of lichen/moss) developing on it over time. At PJ Window Cleaning, we provide a high-quality service with our main priority being customer satisfaction. We are extremely proud of our loyal customer base and well-established reputation in the area, and we will do everything we can to meet your expectations. We offer a wide range of professional cleaning services as you can see when browsing our website. If you're looking for more information or a quote, please do not hesitate to contact our friendly team using the form provided. A prompt polite team who always do a great job. Recommended. Hi Paul, windows and conservatory look great. Thanks very much. Hi Paul windows are lovely and clean. Thank you very much. Many thanks, super job, much appreciated. Hi Paul thanks very much for the excellent clean on Friday. Thanks for a good job; quick, clean and efficient. 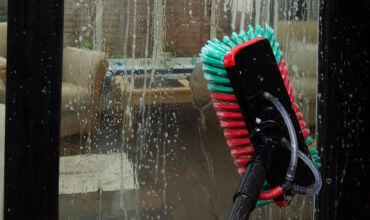 Hi Paul, its Catherine, just to say the drops did dry without leaving any marks & the windows look great. Really pleased with the conservatory and windows, thank you and i will be in touch again. He did a great job I was very impressed,So thank you and i'm glad i went with you.